Nintendo sold just over three million Wii U systems worldwide from the system's November launch through to the end of December, with over 1.3 million of them selling in America. Both Nintendo Land and New Super Mario Bros. U have sold over two million copies. The sales don't offset some bad news from Nintendo—bad news that was expected and seemed to spur the unusually positive, news-rich Nintendo Direct showcase of last week, during which the company teased new games from some of their biggest series, like Mario and Zelda. Nintendo is dropping its financial forecast for the next three months. Where they once expected to make about 20 billion yen, they now expect to lose about 37 billion. The earnings forecast has been modified to reflect a lower-than-expected sales outlook based on the sales performance in the year-end sales season and afterward. Also, exchange rate assumptions have been revised from 80 yen to 90 yen per U.S. dollar, and from 100 yen to 120 yen per euro, in consideration of the trend of the recent exchange rate situation. 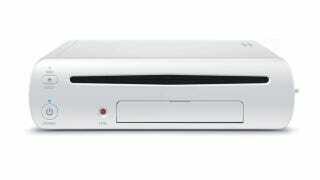 Nintendo is blaming softer demand for older systems, including the original Wii. Nintendo also points to Wii U sales, noting that they had "a negative impact on Nintendo's profits." The company now expects to sell 4 million Wii U systems through March, a lowered forecast from last year, when they thought they'd sell 5.5 million.